Enjoy a delicious, wholesome breakfast on the go with these moist muffins that are like a bowl of your morning oatmeal all in one. 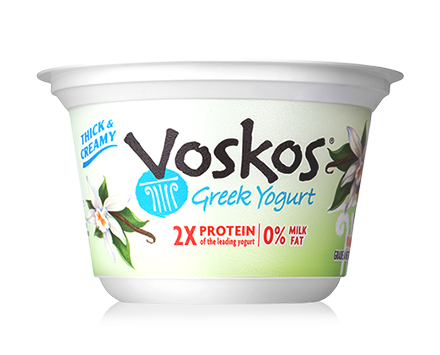 You’ll love the taste of sweet apple, cinnamon and brown sugar blended with the creamy vanilla flavor of VOSKOS® Greek Yogurt, giving you 6 grams of protein per muffin and plenty of fiber from whole ground oats. Preheat oven to 400°F. Line a 12 cup muffin pan with paper liners. Place oats in a food processor or blender. Process until oats are finely ground. 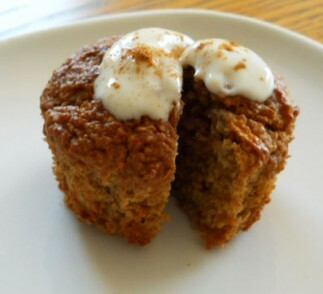 Combine fine ground oats, flour, brown sugar, baking powder, baking soda, cinnamon in a large bowl. In a separate bowl, whisk yogurt, egg whites and canola oil. Stir liquid ingredients into dry ingredients, until almost blended. Gently stir grated apple into batter until evenly mixed. Spoon batter into prepared muffin pan. Bake in a preheated oven for 18 to 20 minutes or until a toothpick comes clean. Let it cool before you enjoy.